A man that does not learn to forgive, who hold on to the bitterness and resentment of his anger and hatred and pain, is like a man who swallows poison and hopes his enemies die from that poison. An unforgiving spirit imprisons and poisons our souls! Yet, how many of us know people who have difficulty forgiving others. In fact, we not only know people, we often are the very people themselves who won’t forgive others!!! “To err is human” the saying goes. “But to forgive is divine.” Well, the problem with this saying is that in some ways it seems to justify our weakness. Some use this saying as an excuse. “To err is human.” OK, our fallen human nature is apt to err – countless times. In fact, if we truly understand sin from an Orthodox perspective – not as some juridical breaking of a commandment, but much more a relational breaking of communion with God and His children – if we have this understanding of sin, than each of us can readily admit that we sin daily, even continually. Thus, we are all in desperate need of God’s mercy and forgiveness for our own shortcomings and sins. Thus, “to err is human” but “to forgive is divine,” and we are all called to become godlike! Ultimate forgiveness is truly divine because the spirit of mercy comes from God Himself. Our heavenly Father readily forgives us our trespasses, while He expects us to imitate Him and forgive those who trespass against us. He forgives, filling us with His unconditional love and mercy, and then hopes that we will imitate Him and forgive one another. As Orthodox Christians, our goal in life is to open our hearts to God and unite ourselves with Him; to cultivate the mind of Christ within; to die to ourselves and have Jesus live in us; ultimately, our goal is to become one with God. And as we become more and more united with the Divine, His Spirit should live within us. And the Holy Spirit will fill our hearts with love, mercy, compassion, kindness and grace. There are countless stories in Church history which portray how the saints willingly forgave even their greatest enemy. I remember meeting such a person in Albania. Fr. Joseph had spent 28 years in prison. Twenty eight years of suffering and torture because of his faith! Two years after the fall of communism and the reopening of the Church, however, Fr. Joseph had quite a surprise. He was preparing to retire for the night when someone began ringing his doorbell. It was late, yet the person was quite insistent. Fr. Joseph opened the door and welcomed into his home a middle-aged man obviously in great distress. It wasn’t until the man entered into the sitting room that Fr. Joseph recognized his features and realized that this was one of the harshest guards who used to beat and torture him in prison. This guard now stood before the priest, begging for forgiveness. Fr. Joseph listened intently, and then forgave his torturer. He revealingly shared later on: “I did not desire revenge. Truthfully, even in prison I prayed for my persecutors. I prayed that God would turn these fierce animals into human beings. And that night in front of my eyes, I saw the transformation of one of these animals!” This prison guard eventually became a member of Fr. Joseph’s Church! Imagine, listening to the confession of one’s persecutor; forgiving the one who tortured you! Only when one is filled with God’s Spirit can we understand and live out the Gospel in such a way. Well, today is called FORGIVENESS SUNDAY. 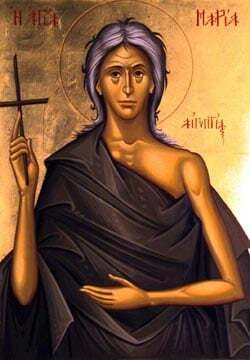 It is the Sunday before Great Lent begins; the Sunday before the start of our 40 day journey towards Holy Week and Pascha – the Lord’s Resurrection. As we prepare for Lent, the Church challenges us to FAST strictly, admonishes us to PRAY more frequently, and teaches us to GIVE ALMS generously to those in need. These are imperative spiritual tools that the Church teaches us to use to help cleanse our souls and prepare for the Passion and Resurrection of our Lord. Yet the message of today is very clear – we can’t BEGIN our journey towards Christ’s Resurrection if we don’t have FORGIVENESS in our hearts. Today tells us clearly that we should forgive even the person who has hurt us; to attempt to speak with the one with whom we haven’t spoken in ages; to reflect upon our own need for God’s mercy, and thus, show similar mercy and compassion to others. As we forgive one another, always remember one essential thing: we don’t forgive others because they necessarily deserve to be forgiven; we forgive others because God has first forgiven us! We love others and show them grace because God’s love and mercy dwells in our hearts and compels us to forgive others! A blessed Lenten journey to all of you!